But I´m cunfused now. Telling by the pic in the lower link, in my base gamebox were the upper 5 marines. Only difference was that the heads and shoulderlamps were no seperate pieces. But the available addon has the same set of minis in it as far as I know? I never seens the lower minis with female head, smartgun heads with helmet, seperate satchel and body with only shirt. Extremely intersting minis which would give us a lot of opportunity to flexible gluing them together. These are not yet avaiable to buy? 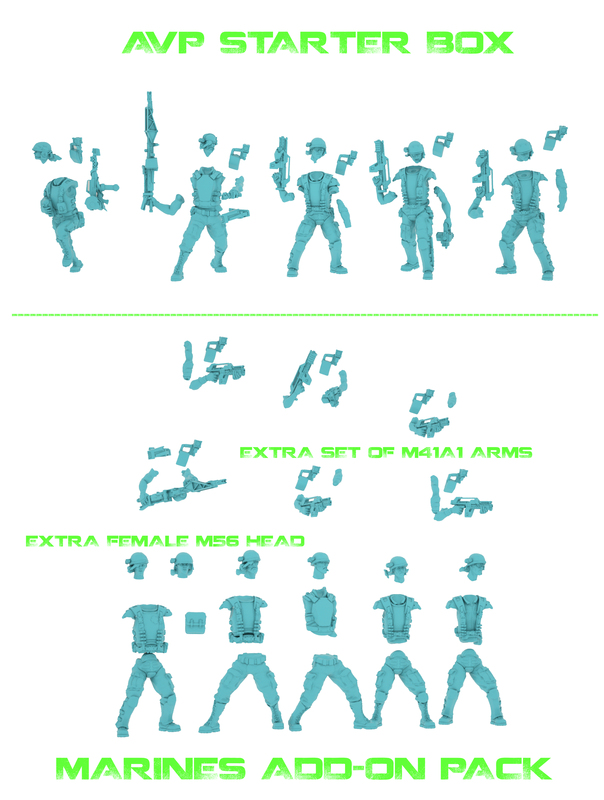 I never seens the lower minis with female head, smartgun heads with helmet, seperate satchel and body with only shirt. Extremely intersting minis which would give us a lot of opportunity to flexible gluing them together. These are not yet available to buy? No they were still getting approval last I heard. But yeah I am hoping for the flexibility it would offer.